For all bounty questions and support, please join us at @CSBounty telegram group! of tokens will still be designated to the bounty campaign. ★Every participant must sign up using the proper form. Submission of report without proper signup will result in no match within our counting application. ★Homelend Team reserves the right to adjust the reward amount, depending on number of applicants in each of the bounty campaigns. ★Check the ETH address you're entering twice, any changes in later stages will be denied. ★All work will be submitted in forms. Reports submitted on this thread will not be counted. ★Stakes are calculated internally, but will be disclosed at the end. ★By signing up for the bounty, you accept these terms. ★To receive a reward in this category, Each member of Twitter Bounty campaign should have at least 400 followers. ★Do not retweet anything older than 4 days, it will NOT be counted. ★Accounts must be authentic and active. Fake, dead and inactive accounts will be disqualified. ★Each member is to fill out a weekly form showing proof of work, no later than Monday. ★To receive a reward in this category, Each member of Facebook Bounty campaign should have at least 500 friends. ★Only one Facebook account per person is allowed.To receive a reward in this category, Each member of Facebook Bounty campaign should have at least 300 friends. ★A member, who has not Liked or has not shared posts during one week (after date of bounty sign up), or unfollowed the page will be disqualified. ★Your Facebook posts MUST have a history of activity other than your own likes. ★Accounts that appear to have fake “friends” or no activity on posts will not be accepted. ★Each friend that joins must tell us that they were referred by your Telegram username, when they join, and stay in the group through the end of the token sale. ★The list of participants will be updated weekly and analyzed once per week. We are interested in quality articles, blogs and other publications. The materials should contain links to the official website: homelend.io, official pages in social networks, or links to the topics of the Bitcointalk forum. 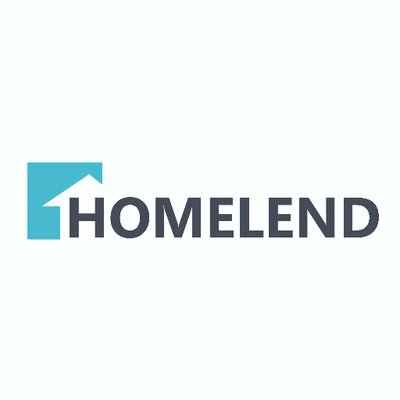 ★Join official HOMELEND Telegram channel through the whole HOMELEND ICO campaign - Join Now! https://t.me/HomelendPlatform. ★The Blogs and Sites accepted to obtain the rewards are: Medium, blogger, WordPress, personal websites, third-party websites and any website that is strictly related to cryptocurrencies. ★All publications must be original and take into account their quality, length, scope and creative component. ★The posts and articles must contain 1 link to ANN thread, 3 links to Homelend site, 1 link to your own bitcointalk profile. ★You will get stakes based on the quality and popularity of your work, reviewed at the end of the campaign. ★ Plagiarism or use of spam or copied publications, unfavorable for Homelend, will be considered as invalid submissions. ★For example, you can write articles, or you can conduct an analysis of the WhitePaper etc. We are interested in quality videos. ★Duration should not be less than 2 minutes of actual content. ★Describe Homelend and its features. ★Upload them on YouTube and/or Facebook. ★Must have at least 100 subscribers. ★For example, you can make videos about our product, or you can conduct an analysis of the WhitePaper etc. Your application has to be approved before you start translation by pm the manager. Abridging of information or any other structural or conceptual changes are not allowed.